How many civilians had to die before it was described as genocide? he asked. When others were lamenting the death of civilians in Georgia, why weren’t they worried about the attacks on villages in South Ossetia? How could the international community react when, despite all the international agreements — Russian peacekeepers were acting in South Ossetia in accordance with the agreement of 1992, signed by Georgia and South Ossetia -– Georgia directly targeted peacekeepers and civilians? Had Georgia expected peacekeepers to run away as they had in Srebrenica? The Russian Federation could not allow the civilian population in South Ossetia or peacekeepers to be attacked. 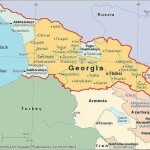 It was not occupying South Ossetia, and its reaction had been appropriate. The question was whether the Georgian side was reasonable in its aggression.